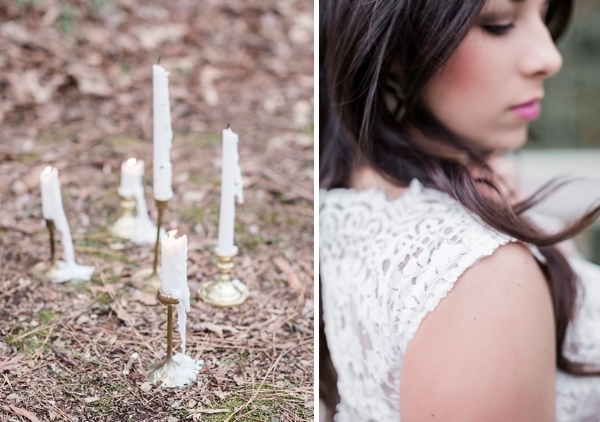 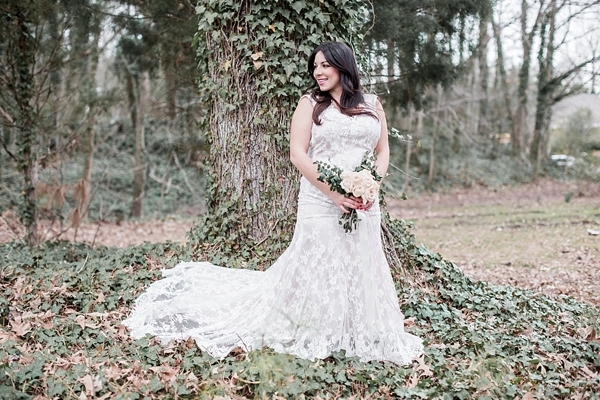 Inspired by classic hues and a time gone by, bridal sessions are always a special tradition for southern brides looking to create heirlooms and family memories. 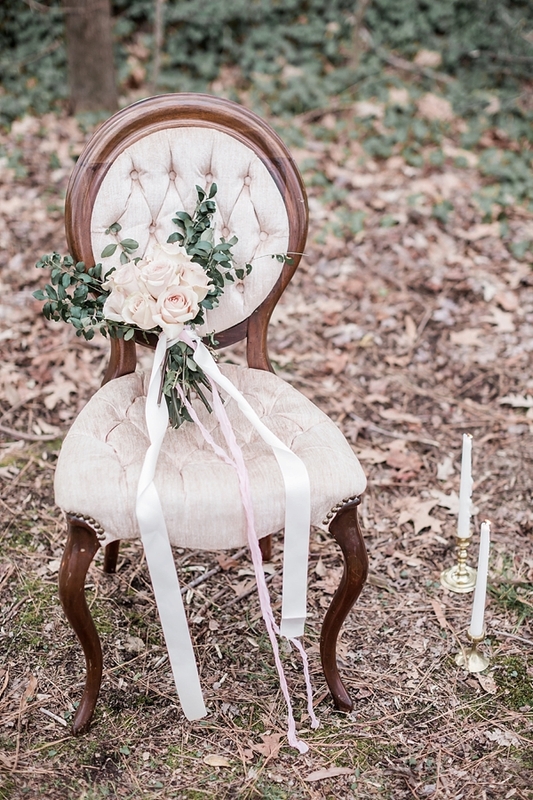 Captured by J. McBurney Photography and coordinated by Raise The Ruth Events, vintage love is all throughout this sweet session. 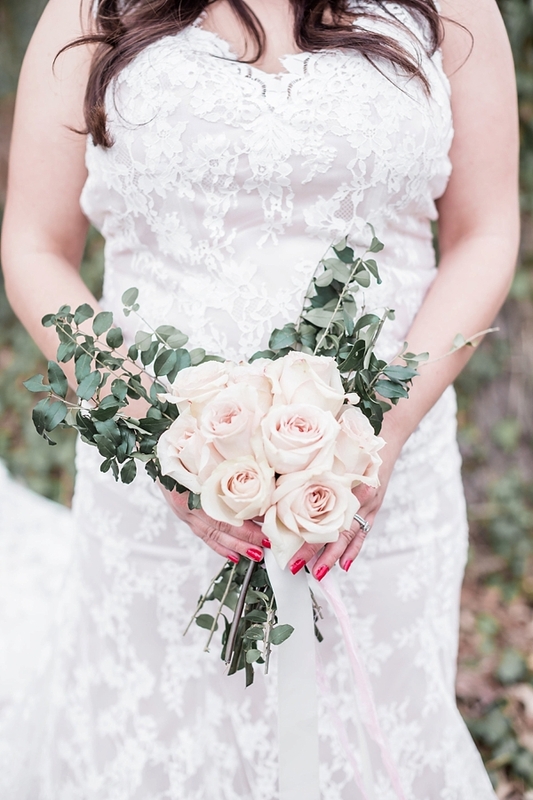 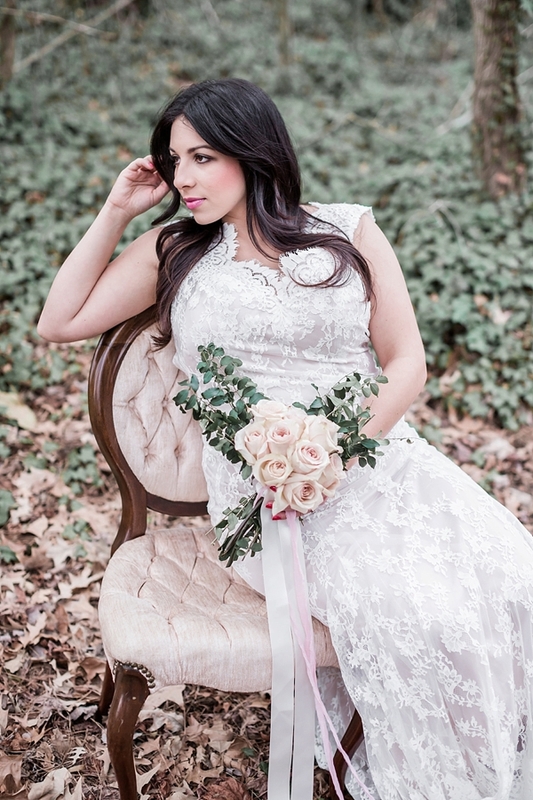 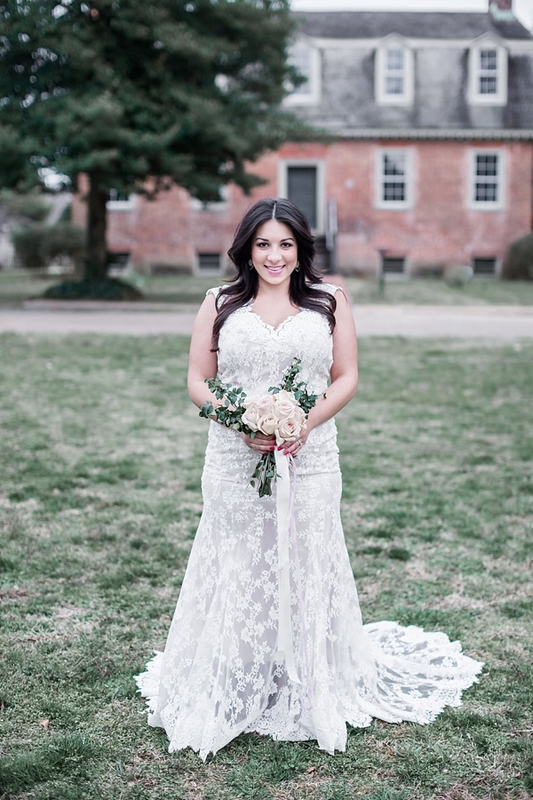 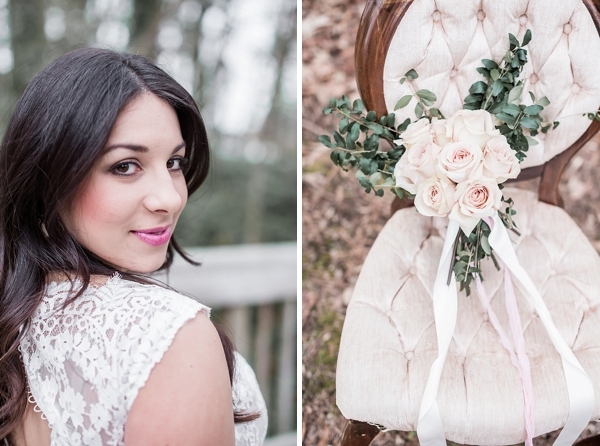 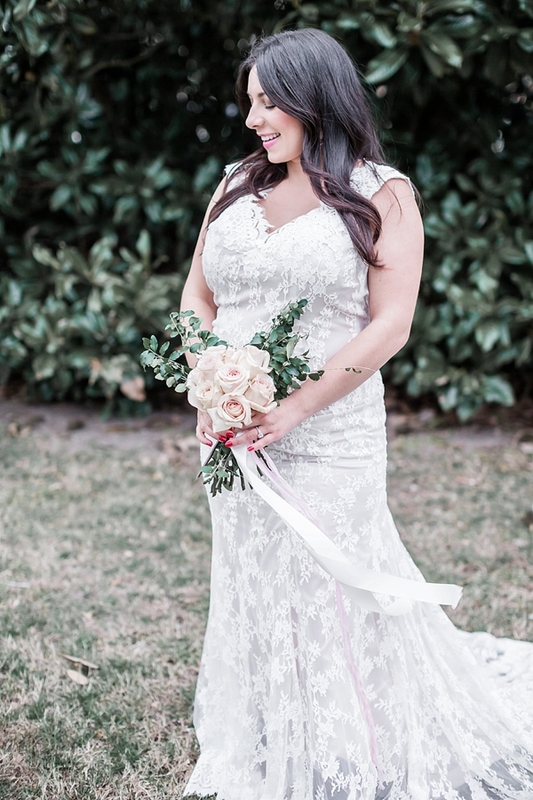 In a champagne and ivory lace wedding gown with a keyhole back, the bride holds a simple hand-tied pale blush pink rose bouquet at the historic Francis Land House in Virginia Beach. 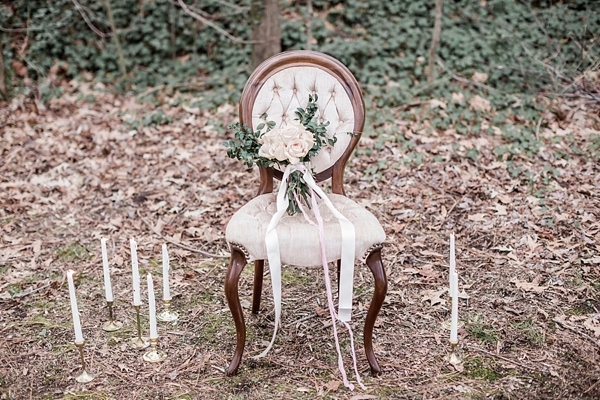 Romantic aesthetic is alive and well with golden candlesticks and a feminine velvet tufted chair, and it'll make anyone swoon for timeless beauty!